Interior and Exterior Wall Painting, Textured Painting, Waterproofing, etc. It is a common trend, today, among, us, Bangaloreans to follow the open floor plan for our villas and apartments. Open floor idea for a home is pretty cool, mainly because, it brings together different living spaces under one roof, without dividing it with walls. Such kinda spaces feel more comforting, cheerful and inviting. However, open floors are harder to decorate. When the different rooms are not divided by walls, you’ve to take extra care to not overwhelm your guests with a ‘rangoli’ of colors; nor it should be boring. It’s the balance that creates a beautiful home. The wisest option will be to leave such intricate works in the hands of an expert, like Housejoy. They provide the best painting service in Bangalore. If you’re looking for painters near you make a call or request at Housejoy.in. Here are a few tips to make an open floor house more attractive. The number of colors used shouldn’t exceed five. It is always advised to limit the number of colors used in the room between three to five for the entire space. For a perfect blend, you can follow the below rule. 5. If you’re selecting colors from two different families, then choose colors of the same intensity. If you’re want to add an accent color or want to go beyond the three-color rule, then you can always use a bookshelf to break a long wall. Unify the entire home with the same ceiling color. It doesn't have to be white always. Try something like ivory. Ivory shades can instantly transform the look and feel of a space. It’s elegant and the charm is inexplicable. Careful with the colors of the kitchen countertop and your living room. Does your living room open directly into the kitchen? Then remember to match the colors on the kitchen countertop and your living room to make the space look rich and organised. Neutral colors are beautiful. However, using too much of it can make your living space look dull and boring. Now, there are two ways to balance this out. 1. Use your furniture, pillows and rugs to bring some pops of colors to your space. 2. Color the dining space with a darker shade to balance it out. If you’re living in Bangalore and is looking for a professional house painting service in Bangalore, then give Housejoy a call. You can even place a house painting request at Housejoy.in. At Housejoy, we love helping people to bring beauty to their living space. We provide you with professional painters at home, anywhere in Bangalore, to make the best color choice for your home. 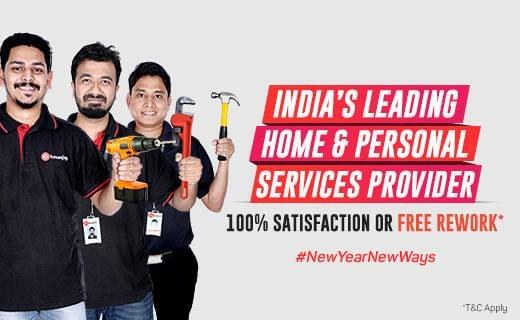 Apart from house painting services in Bangalore, Housejoy also offers household repair services other home services in Pune, Mumbai, Bangalore, Delhi, Hyderabad, Vijayawada and Chennai.